"Over the years the service has been great,especially Dr. Skov and you girls. Keep up the good work. I have been with San Carlos Park Animal Hospital since 1990, even before Dr. Skov took over and I feel very comfortable there." made and remedy given to us without recommending a hundred other diagnostics that could be done. Love the vets and assistants at this clinic!" "My wife & I have taken our dogs to these wonderful people for over 20 years. They have always done everything to make our visits an extremely pleasant experience. From cheerful greetings when we call, to prompt appointments when needed. They have shared sympathy and compassion when senior children reach the end of their days with us. Dr.Skov treats us like "friends&family" and answers any and all of our questions. The Best !!" "With an emergency surgery needed for our baby, we felt at ease knowing he was in good hands! The staff is very nice and caring, they love on your pet as if it were their own. Updated us multiple times over the phone to let us know how our pup was doing. When we brought him back the next day for more care after surgery they knew exactly who he was, took him with open arms, and showed him some love! Very satisfied with all the staff! Thanks for all you do! Hopefully we won't have to come back, but if needed, we know where to go!" possible outcomes, and follow up calls after our visits. When sadly, we had to put our Shimmer down, each staff member came into the room to wish her farewell. Though she is gone, we continue to rely on these friends to help with the care of our second poodle, two year old Cosette. We are always happy to send new clients to SCPAH and we expect that the high standards of care and customer service will be easily recognized by all who pass through their doors. Thank youDr Skov and Staff!!" " I truly cannot say enough nice things about Dr. Skov and his supporting staff! Whether giving me advice over the phone or helping me with my rescue/foster dogs, they always give me 100% and with a smile! Dr. Skov is no nonsense, extremely professional but also very compassionate! I just adore all the lovely ladies who help him! I would never consider anywhere else to board my dogs either! The personal attention and care my dogs receive are unmatched by anyone else and the peace of mind they give me is priceless! Thank you for looking after all my furry babies for going on 12 years! God bless you all!!" "San Carlos Park Animal Hospital is one of a kind. Everyone at the office, including the staff, doctors and even Buddy, the resident mascot, are wonderful people who genuinely care about the wellbeing of your pet. After a slough of disappointing vet visits in this area, SCPAH is a breath of fresh air. I simply cannot praise this facility enough. If you are looking for extraordinary care without breaking the bank, SCPAH is definitely your place." 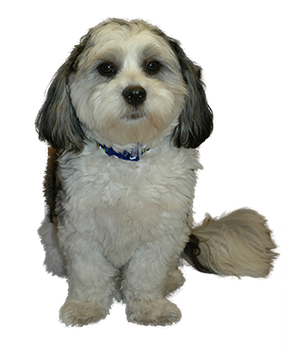 "I have been bringing my pets to San Carlos Animal Hospital for 21 plus years. I cannot tell you how I've come to rely on all of them. They are not staff to me, they are part of my family." "Had a very good experience. Felt the doctor was experienced and knowledgeable. The prices were reasonable and they did not try to run a dozen unnecessary tests so they seemed prudent. They were open to alternative treatments before jumping to drugs for chronic ailments and the entire staff was great."